8. 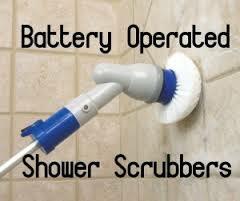 Consider a battery-powered "scrubber" for bathtub, sink, and so on. 9. Get a long-handled dustbin and a small broom for dry spills. Small broom's can be found in toy stores. 10. Foam floor mats can be placed where you need to stand often, such as at the sink, ironing board, or telephone. They can reduce foot and ankle pain and low back pain. 11. Use an adjustable-height ironing board so you can sit down while ironing. Attach a "cord minder" to keep to keep the cord out of your way. 12. Small items such as socks or underwear can be washed in laundry bags to avoid having to search in the washer or dryer. In a sentence: The dinner was a gustatory pleasure for the palate.